édité le 11/12/2015 - Plus de news de "CHEVRON" - Voir la fiche entreprise de "CHEVRON"
Chevron Corporation confirmed that its subsidiary, Chevron Overseas (Congo) Limited, and partners have started production from the deepwater development Moho Bilondo Phase 1b offshore the Republic of Congo. Located approximately 46 miles (75 km) off the coast of Pointe-Noire in water depths ranging from 2,400 to 4,000 feet (750 to 1,200 meters), Moho Bilondo Phase 1b is part of the Moho Nord joint development project, the largest-ever oil and gas project undertaken in the Republic of Congo. The Moho Bilondo Phase 1b project includes 11 wells tied back to an existing floating production unit and is expected to produce a total of 40,000 barrels of oil per day. "First oil from the Moho Bilondo Phase 1b development is the latest successful start-up in our diverse portfolio of deepwater projects, which we expect to generate value for years to come," said Jay Johnson, executive vice president Upstream, Chevron Corporation. "The successful development of Phase 1b demonstrates our ongoing commitment to the Republic of Congo and is a testament to industry and government cooperation," said Ali Moshiri, president of Chevron Africa and Latin America Exploration and Production Company. "The project integrates the unique skills and expertise of multiple partners to deliver challenging projects and new energy production." The Phase 1b development targeted reserves in the southern portion of the Moho Bilondo permit area. The Moho Nord subsea development, which will be the second phase of the Moho Nord joint development project, is in the northern part of the area. The Moho Nord development project involves a tension-leg platform, a floating production unit with a processing capacity of 100,000 barrels of oil per day, and a 50-mile (80-kilometer) pipeline to the onshore Djeno Terminal. 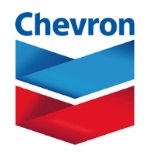 Chevron Overseas (Congo) Limited has a 31.5 percent working interest in the Moho Bilondo permit area, along with Total E&P Congo (53.5 percent working interest and operator) and the national oil company, Société Nationale des Pétroles du Congo (15 percent working interest).